BELL, ROBERT, printer, businessman, office holder, politician, jp, and militia officer; b. 16 March 1808 in London, England, fourth son of William Bell* and Mary Black; m. 17 Jan. 1839 Emmeline Sedate Jones in Brockville, Upper Canada, and they had two sons and a daughter; d. 2 April 1894 in Carleton Place, Ont. The family of William Bell, a Presbyterian minister, immigrated in 1817 to Perth, Upper Canada, where Robert Bell was educated. In Brockville as early as 1825, he learned the printing trade under William Buell* of the Brockville Recorder. By March 1827 he was a printer with the Gore Gazette in Ancaster; he became foreman in March 1828, but the paper ceased publication in June 1829. On 8 August Bell began advertising in Perth his opening of a general store in Morphy’s Falls as a branch of his brother William*’s business. Renamed Carleton Place a year later, this Mississippi valley community was to be Robert’s home. He became postmaster in 1834 and was “chief engineer” of the first fire company. In 1835 he was appointed a commissioner of the district Court of Requests, and in 1836 and 1838 he served as chairman and secretary of the “Loyal Village Guards.” He collaborated in 1840 with James Wylie of Shipman’s Mills (Almonte) in founding what is now the North Lanark Agricultural Society. Two years later Bell became a member for Beckwith Township on the first Bathurst District Council, of which he was warden in 1847–48. In 1850, when such councils were superseded by county councils, Bell, then reeve of Beckwith, was elected warden of the United Counties of Lanark and Renfrew. In 1848 he had also served as president of the Bathurst District Temperance Union. During the late 1840s Bell turned farther afield in his public interests. He ran successfully as a reform candidate in the general election of 1847–48 against Thomas Mabon Radenhurst* and Daniel McMartin in Lanark, which he represented in the Legislative Assembly until 1851. In 1849 he barely evaded the fury of the mob that burned the parliament buildings in Montreal [see James Bruce*], escaping from an upper window by a ladder. In the elections of 1854, 1857–58, 1861, and 1863 he won the Lanark North seat. 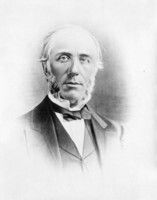 In 1864 when William McDougall*, a member of the “Great Coalition” cabinet [see George Brown*], lost a by-election, he induced Bell to give up his seat in exchange for a consideration which McDougall requested from John A. Macdonald. McDougall won the seat and Bell received the newly created post of inspector of canal revenues in the Department of Finance, which he held until 1880. 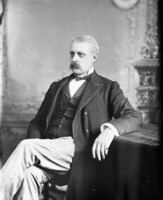 Bell’s official and commercial activities in Carleton Place had continued while he attended parliament in Quebec and Toronto. He held the postmastership until 1856, issued marriage licences for many years, and served as a magistrate from the 1840s. In addition to his store, Bell had a financial hand at one time or another in a grist-mill, sawmill, harness-shop, tinsmithery, and insurance company. 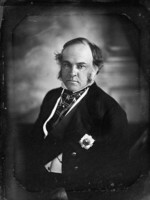 In 1851–54 he supported the proposed construction of the Bytown and Prescott Railway; he was a director of the Brockville and Ottawa Railway Company and later of the Canada Central Railway Company. 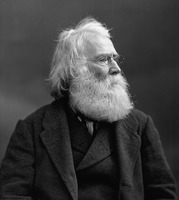 Throughout his life Bell maintained his residence in Carleton Place. His varied interests included the natural sciences and philosophy. He cultivated flowers, cared for his large library, and was considered a local expert on ornithology. He was active in the Lanark militia, attaining the rank of lieutenant-colonel, and in the direction of the Carleton Place Library Association and Mechanics’ Institute (founded 1846), the local grammar school (opened 1853), the Carleton Place Mutual Improvement Association (formed 1868, where readings could be attended for a penny), and the Carleton Place Game, Fish and Insectivorous Birds Protective Society (founded 1884). He is said to have served 50 years as chairman of the board of education and some decades as an elder of the Presbyterian church. In his later years Bell lost much of his wealth, possibly as a result of economic depressions, but his government pension sustained him. He died in 1894 and was buried in Perth. AO, MU 7098; RG 8, I-6-A, 1: 44. NA, MG 26, A, W. McDougall to Macdonald, 16 Aug. 1864. Bathurst Independent Examiner (Perth, [Ont. ]), 11 Sept. 1829. Canadian (Carleton Place, Ont. ), 5 April 1894. [A carelessly written obituary. c.c.j.b.] Globe, 28 July, 8 Dec. 1864. Herald (Carleton Place), 10, 17, 24 April 1894; 5 May 1903. Canadian biog. dict., 1: 536–37. Canadian men and women of the time (Morgan; 1898), 71. 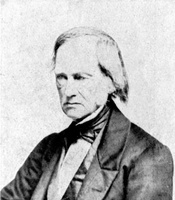 CPC, 1862. Cyclopædia of Canadian biog. (Rose and Charlesworth), vol.1. Illustrated atlas of the Dominion of Canada . . . Lanark supplement (Toronto, 1880), iii, viii. H. M. Brown, Founded upon a rock: Carleton Place recollections (Carleton Place, 1969). Isabel [Murphy] Skelton, A man austere: William Bell, parson and pioneer (Toronto, 1947), 28, 298, 303–4. [It is evident that Mrs Skelton makes an error of one year in Bell’s birth-date. c.c.j.b.] J. J. Bell, “The burning of the Parliament Buildings,” Canadian Magazine, 20 (November 1902–April 1903): 501–6. C. C. J. Bond, “Tracks into Ottawa: the construction of railways into Canada’s capital,” OH, 57 (1965): 122–34. Elizabeth Hulse, “A printer writes home,” Devil’s Artisan (Toronto), no.12 (1983): 3–8. Courtney C. J. Bond, “BELL, ROBERT (1808-94),” in Dictionary of Canadian Biography, vol. 12, University of Toronto/Université Laval, 2003–, accessed April 22, 2019, http://www.biographi.ca/en/bio/bell_robert_1808_94_12E.html.